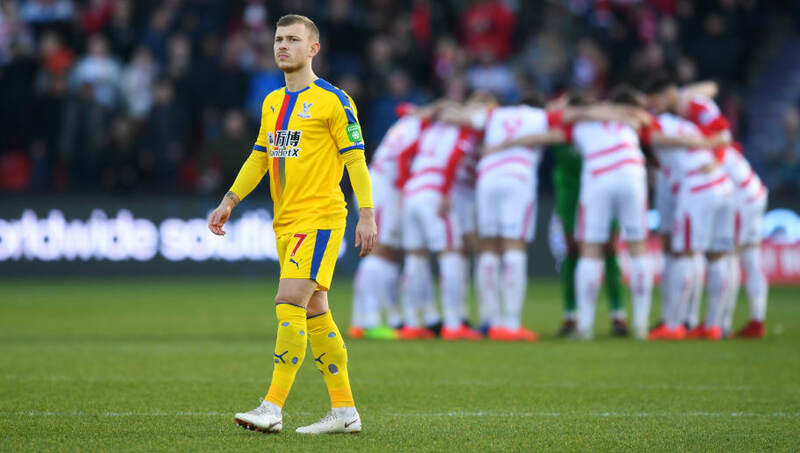 ​Crystal Palace midfielder Max Meyer has deleted an Instagram post in which he sarcastically branded Schalke sporting Christian Heidel the 'GOAT' (greatest of all time), following his former side's 7-0 Champions League loss to Manchester City. The 23-year-old has publicly criticised Heidel before, which played a pivotal role in his eventual move from the Bundesliga side to the Eagles last summer. Joining on a three-year deal, Meyer has been used sparingly by his new manager Roy Hodgson this season, but has impressed when called upon, providing two goals and two assists in the 2018/19 campaign thus far. Meyer has since deleted the post from his Instagram story, but his actions are likely to have further worsened his relations with the ​Schalke faithful. Heidel is set to step down from his role at the end of the season, after a nightmare campaign on the domestic front; as things stand, the club face a real threat relegation, as they sit just four points clear of the danger zone. ​Palace have had a decent season at Selhurst Park, with their solid run of form seeing them rise to 14th place in the league table. However, with eight matches to go, the five point gap separating them from the bottom three, they could be dragged into a relegation battle should they drop points in the coming weeks. In other news, ​Palace full-back Aaron Wan Bissaka has missed out on a call-up to the England national team, despite being hotly tipped to be included in Gareth Southgate's squad to face the Czech Republic and Montenegro later in the month. Bissaka has excelled for the Eagles this season, and has become an integral part of Hodgson's side.